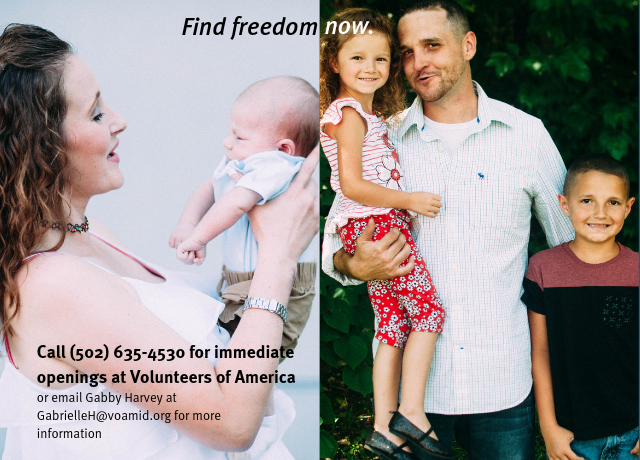 VOA Recovery’s programs work. We listen. We care. We tailor a program to your needs. We help you take your life back. Call 502-635-4530, or fill out the form below, to break free from addiction today. You will receive a confidential reply right away. VOA Recovery offers comprehensive and effective outpatient and residential services to individuals and families working to overcome addiction. To find out more about the programs we offer to get your life or your loved one's life back, go here.